Not only for food, dining room is the best place to share stories with family. 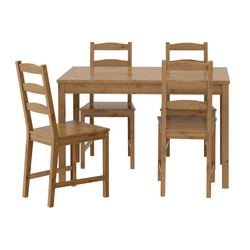 We are here to ensure you have a memorable dining time with our dining furniture. 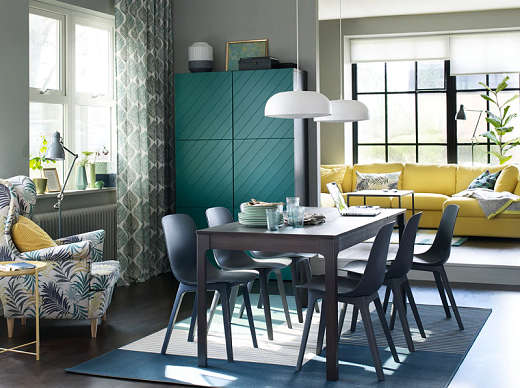 Find out lots of dining room ideas to choose from, and lots of possibilities for combining it all in your space. Eating at the table can get a little boring when you have a balcony, terrace or deck. Don’t have an outdoor space? No worries. A birch plank table and other natural materials make eating indoors feel like you’re right outside. 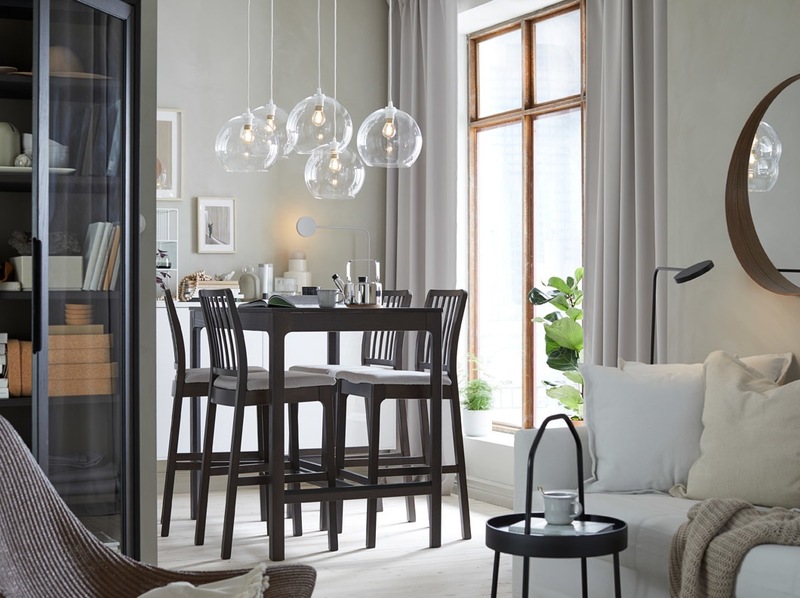 This social family centers their dinner parties around an extendable table that has plenty of room for a couple or a crowd. And if you have last-minute guests? Unstack a chair and let them have a seat! 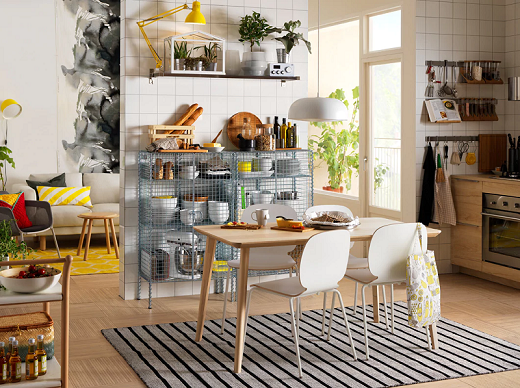 You don't need fancy furnishing to have an enjoyable family dinner. 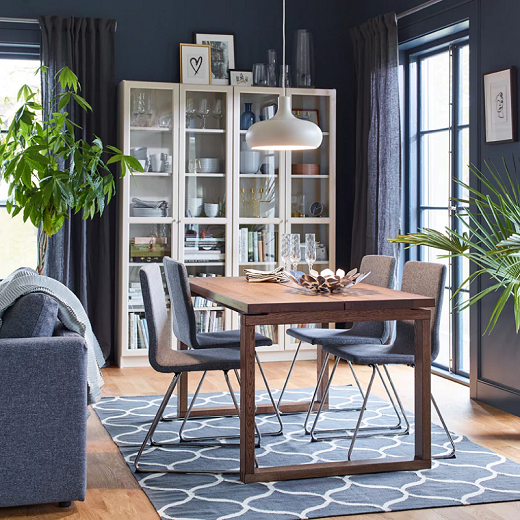 Take a look at this simple dining room. 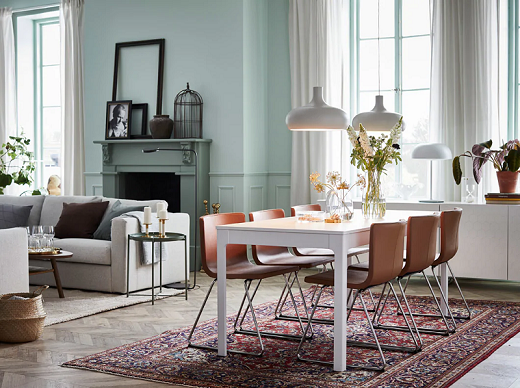 With simple dining chairs and table, also a rug in calming colours, you can bring a warm ambience to family feast. 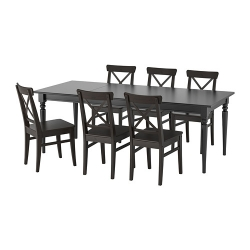 Getting a perfect dining room is as easy as placing beautiful dining table and chairs. Adding patterned rug as a unique complement. Clean is beauty, so make sure all unused stuffs are perfectly organised in wall cabinets. Dining room is not only for enjoying food but also the stories. 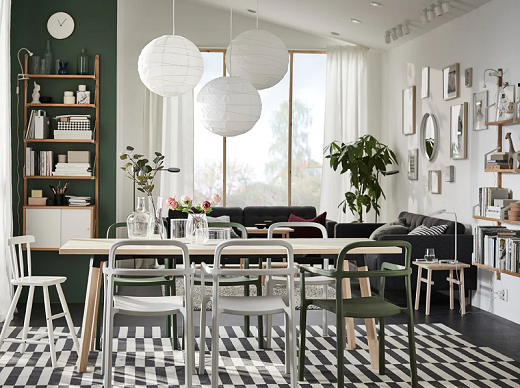 With our playful furnishing, you can turn a plain dining room into a pleasant place to spend your time with family or friends. 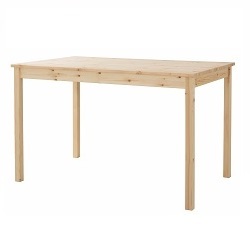 Treat family and guests to a pleasant dinner setting. With comfy chairs, soft rug, and warm lighting, your guests will love to spend their time in this place. Having dinner, share stories or even playing card with family. 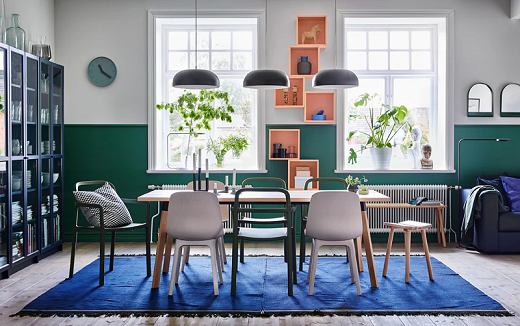 Many activities you can do in your dining room, so make sure all furnitures work just fine for you. 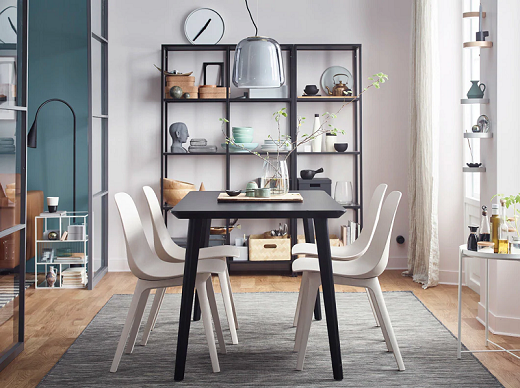 See how this big family arrange their chairs and bench to make sure everyone can gather around the dining table. 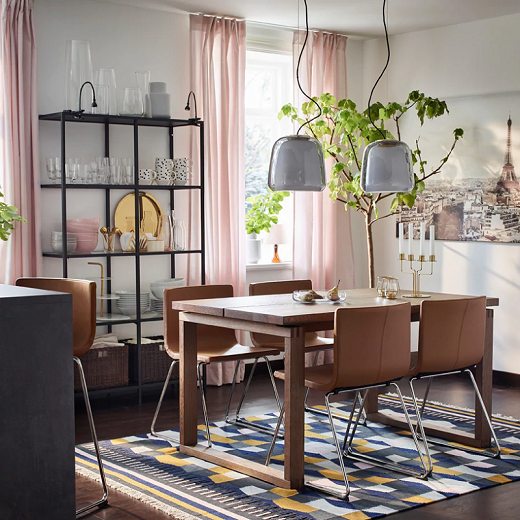 Clean lines and leather make this a modern dining room solution for the modern family, who loves to socialise (and show off). See how we paired stylish and durable furniture together for all-day entertainment. Living in apartment with limited space? 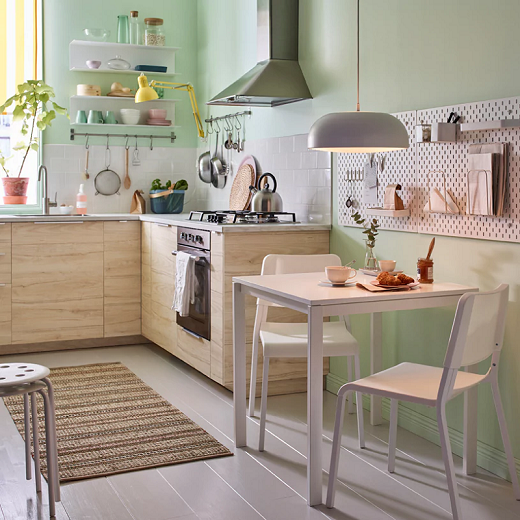 Let's see how this newly-weds merge their dining and cooking area in a harmonious way. 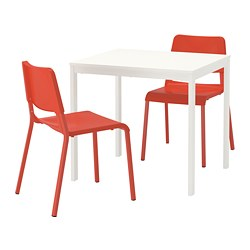 With a few pieces of functional furniture, they can create a comfortable and spacious dining room. 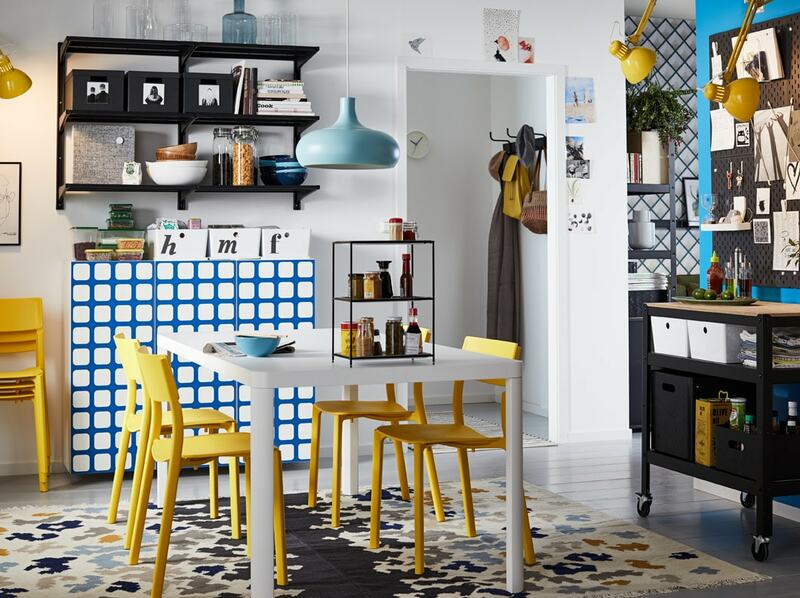 Eat, work and entertain in a dining area that is both stylish and environmentally conscious. 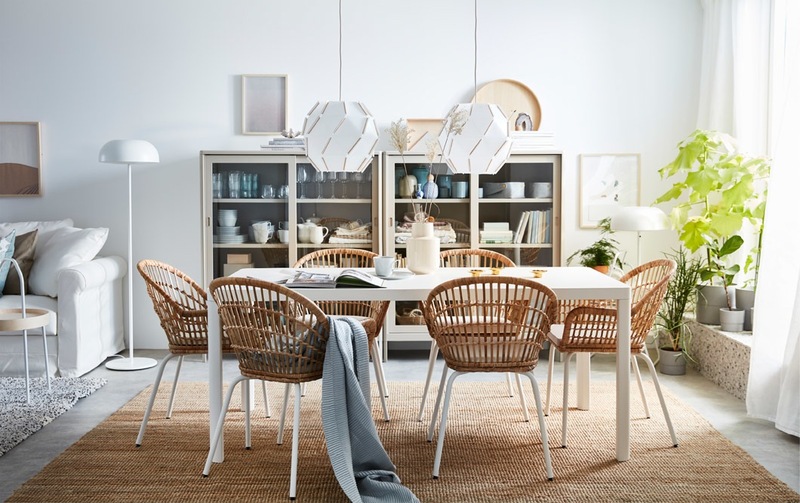 NILSOVE rattan chairs are unique in every way, each weaved individually and with natural colours that transform with time. We all start somewhere. You don’t need many things to create a beautiful living space that suits your style. Grab a couple cabinets for storage, a sofa bed for sleeping and a bar table that can double as your workspace and dining area.